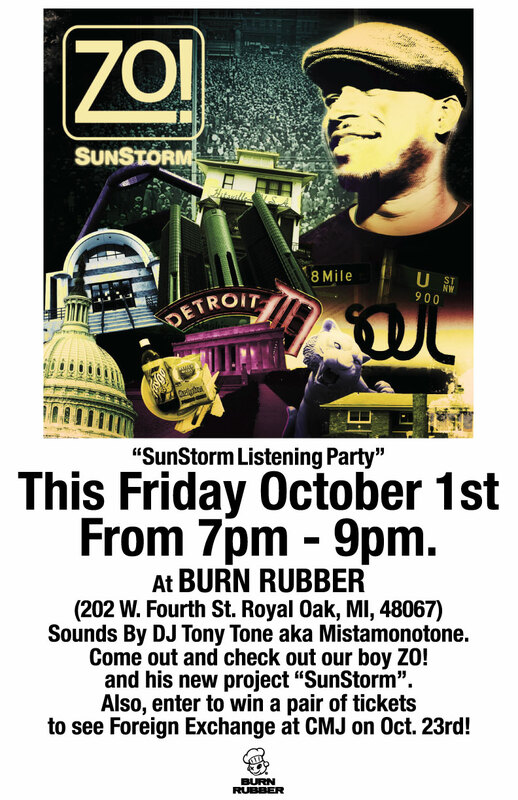 Note: This is a listening party, there will not be any performances. 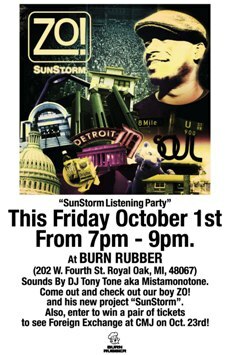 Burn Rubber Sneaker Boutique, Royal Oak, SunStorm, Zo! \nNote: This is a listening party, there will not be any performances.